"Yay! Reached my target of Rs. 30,000 and more. Thank You so much for your support. Overwhelmed with the terrific response you've shown friends." Laxmi is a young tailor and a mother of two who lives in T. Puthur, a village in Tamil Nadu. Relieving herself in the open is something she has always done. Yet, that accompanying feeling of fear of attack from was something she could never shake off. With support from GUARDIAN, she was able to construct a toilet at home, and finally, is now able to relieve herself in the privacy of her very own toilet, in the comfort of her home. In rural areas in India, apart from a lack of access to safe sanitation, there is ignorance about the need as well. GUARDIAN has been conducting sanitation workshops which drive home the importance of hygiene and safety. The one-time payment (labor + materials) makes toilet construction cost-prohibitive for most families. GUARDIAN also steps in to lift the financial restriction, allowing families to build a toilet with a loan that they repay in manageable monthly installments. 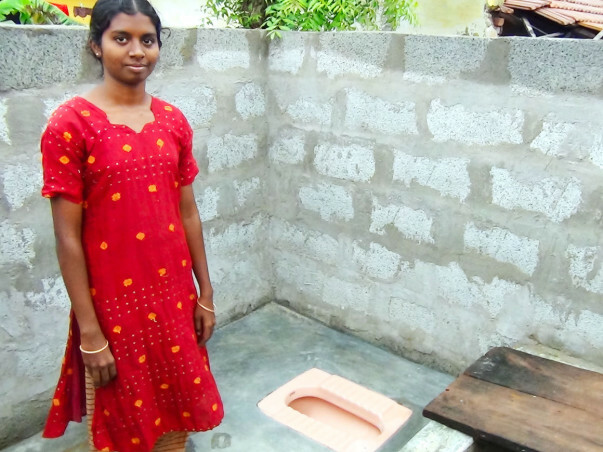 Thanks to this, for thousands of women like Laxmi, a toilet at home is a reality now.